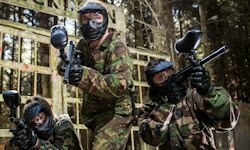 SPLATBALL: This is the only low impact paintballing experience – Have all the fun of paintballing but without the pain and bruises. Ideal for hen parties. Guns are lighter and splatballs are smaller which is less painful than paintball but still all the fun and paint :-). SATURDAY your group will enjoy a scrumptious 3 course meal (starter, main course & dessert) including a glass of Prosecco, in a top city centre restaurant. This popular restaurant is located in the city centre and is very hen friendly. Times for the meal are flexible but it is best to book early to guarantee your preferred time. 2 course meal option also available. SATURDAY your group will be on the guest list to Limerick’s top city centre nightclub – VIP Entry & Reserved Seating & complimentary Champagne on arrival. This nightclub is extremely hen friendly and allows fancy dress – they even encourage it :-), open until late so your sure to have a night to remember.